A fine day for a science event. Actually, everyday is a fine day for science! Look! A dancing cat! As long as you don’t stop, you can keep watching its performance. 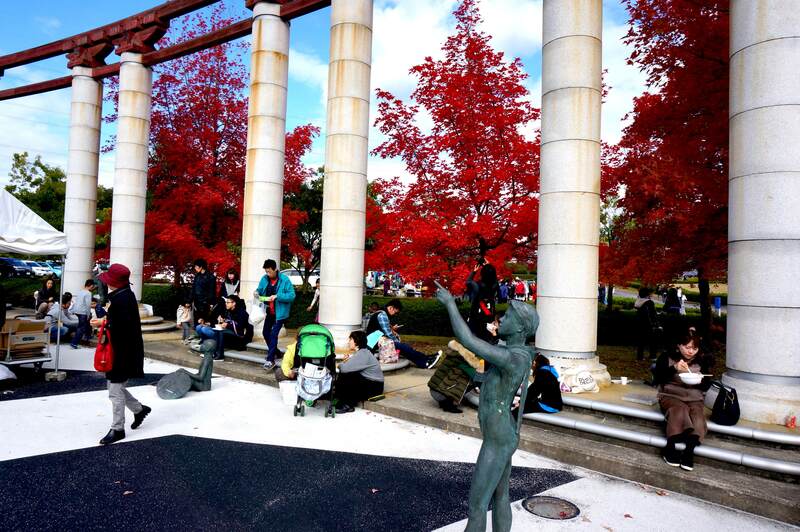 This special Japanese local festival also attracted some international guests. Kids are the biggest winners in this event. They look so happy learning about science and technology. They also get the chance to interact and play with its applications! 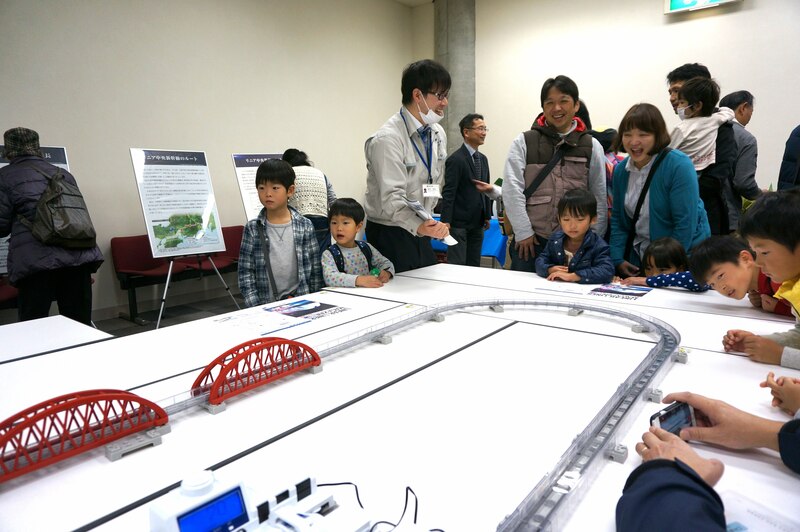 The staff of Ikoma City Hall is presenting the mini railway program to a family. 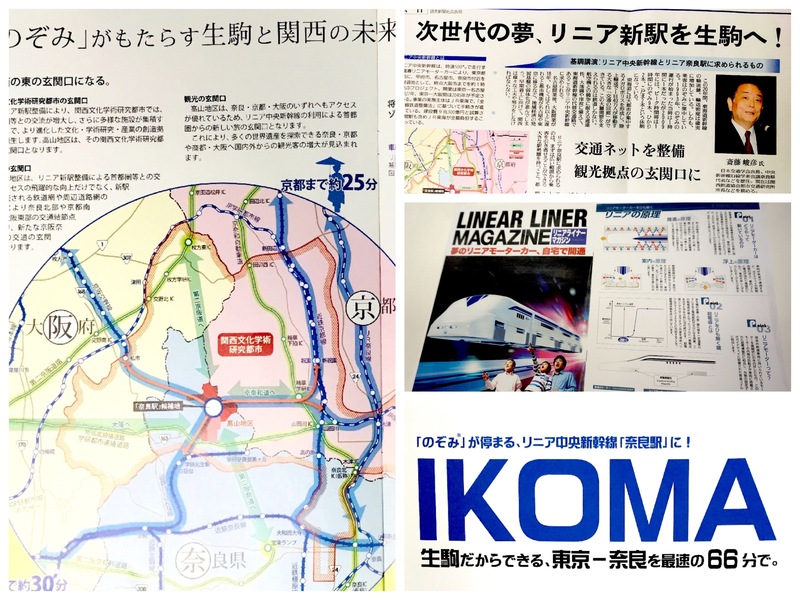 In one of the booths, a poster featured a JR East railway line that is scheduled to be built in the near future. This new line would bring so much convenience to the citizens living around NAIST. This is really exciting news! Poster showing new railway line to be built in the near future. 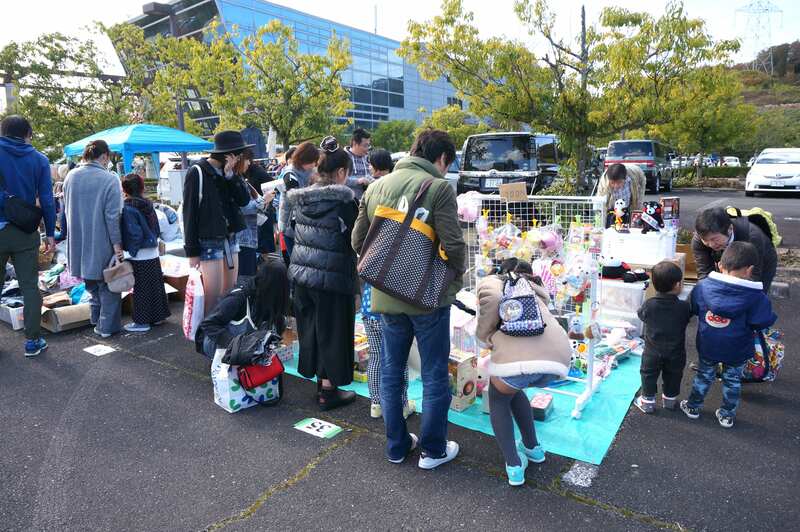 There was so much happening in the event: a petit concert, a makeshift food bazaar, a flea market, and even train rides! 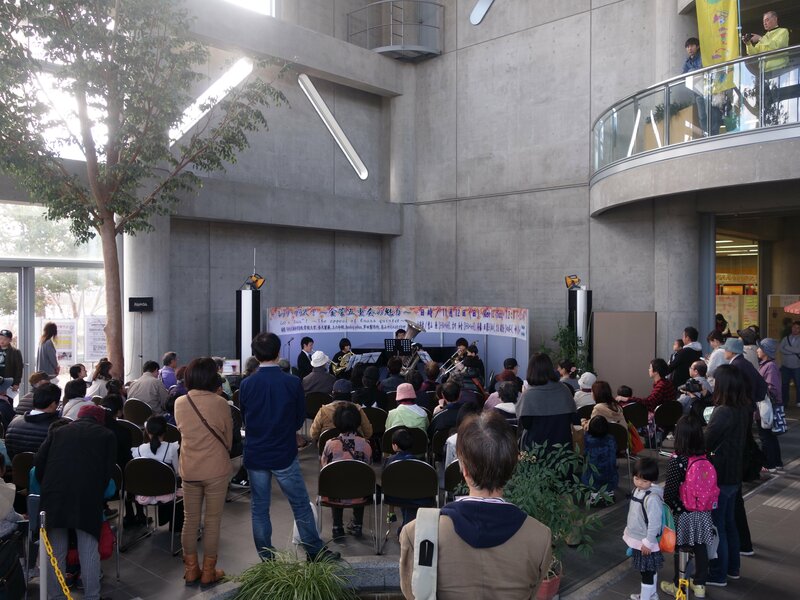 Petit concert: A delightful melody guided the attendees. 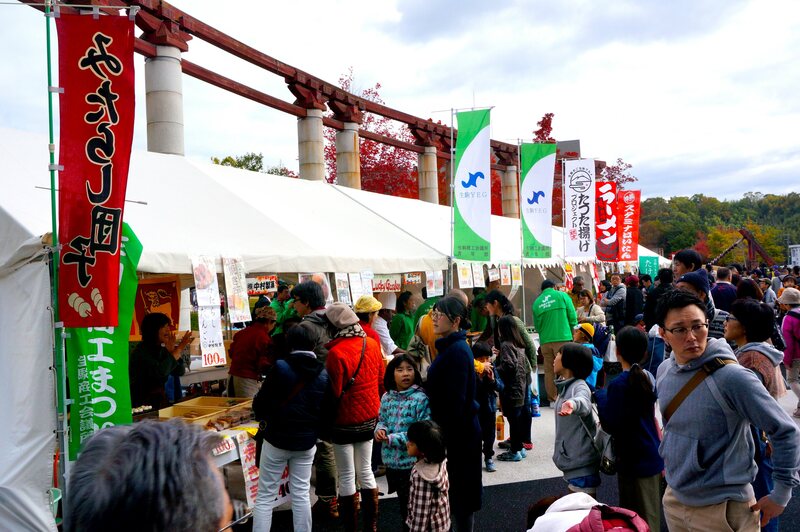 Food bazaar: Takoyaki, fried chicken, and a variety of snacks you don’t want to miss. Let’s try something new today! 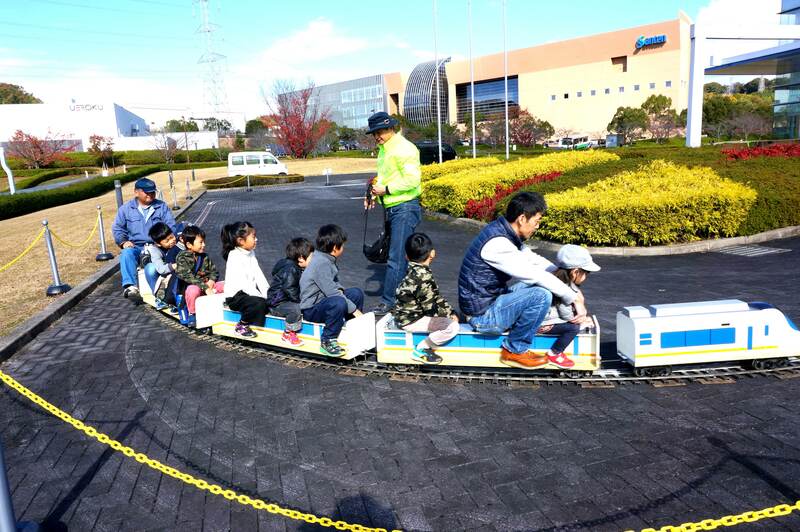 Some families are experiencing the mini-train outside the Santen Pharmaceutical company. By the way, you are allowed to visit this company during the festival. 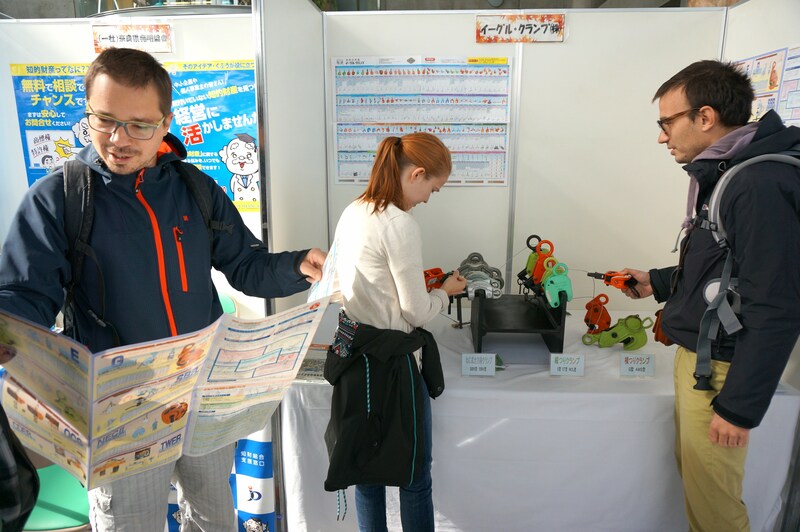 Now we go over to the NAIST side of the event… Each research section arranges a variety of interesting experiments for visitors. 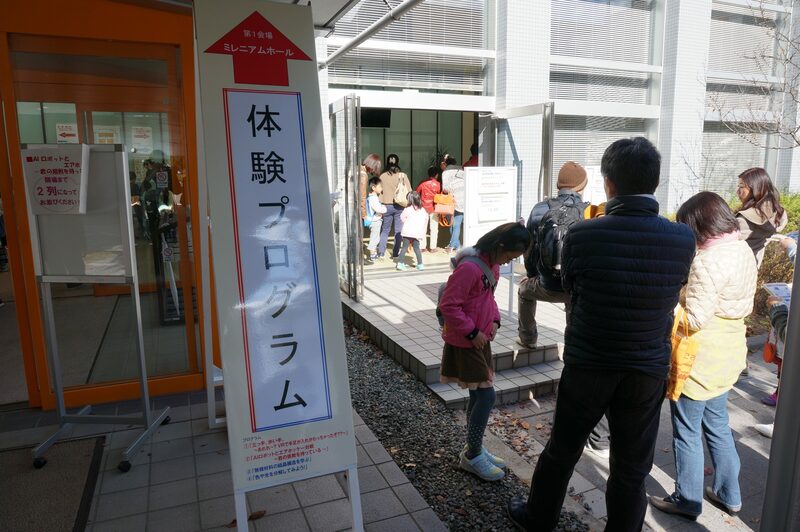 Some families are waiting in line to experience interesting programs. 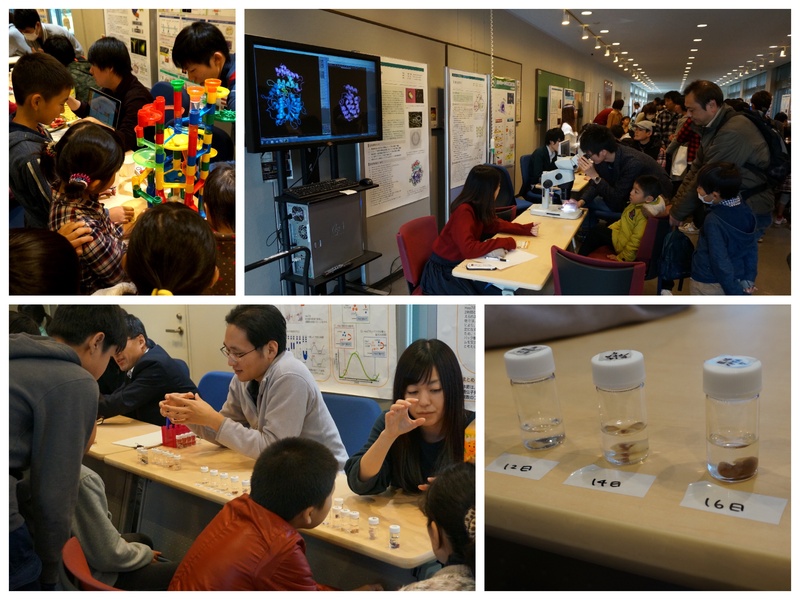 As part of the Takayama Science Town Festival, NAIST also held a special open campus event, designed specially for kids and a general audience. 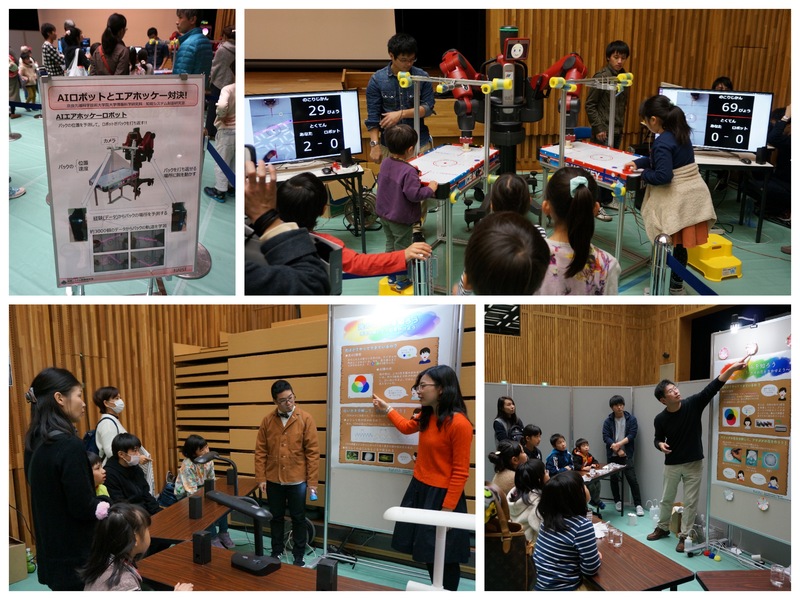 All of three graduate schools prepared various lively demonstrations and interesting experiments for visitors of different ages and backgrounds. 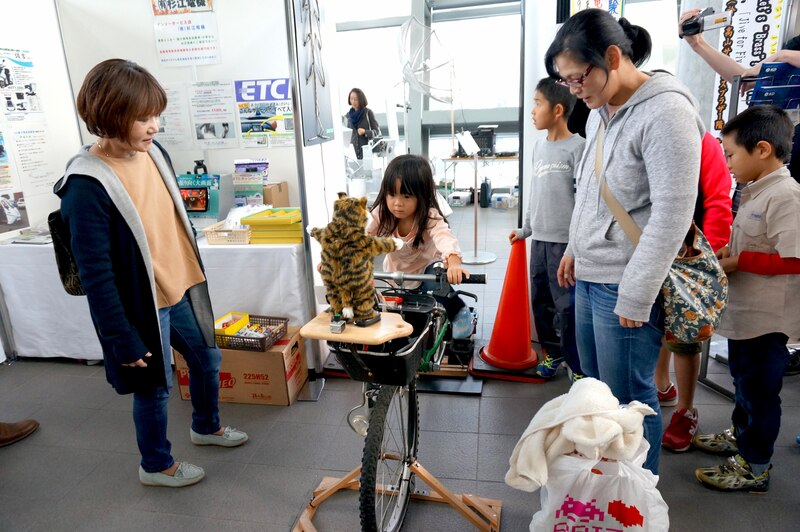 Learning by doing: The kids are engaged with the hands-on demonstrations. In the biology research building: a kid is listening carefully to the explanation about the growth process of mouse embryos. Learning by doing, learning by playing. 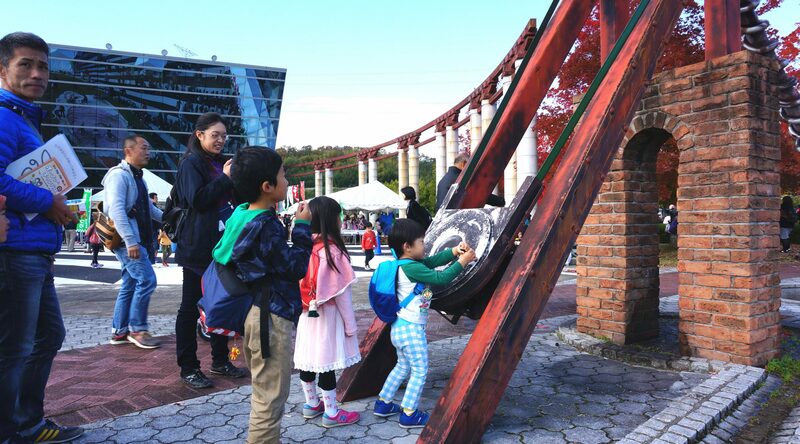 It‘s a nice day for kids, families, and everyone living near Takayama Science Town. 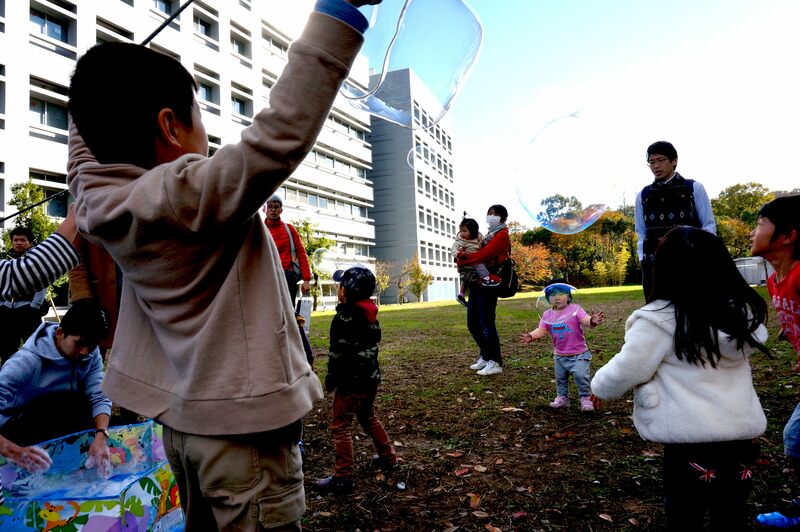 Don’t worry if you missed this one, since NAIST runs multiple open campus events in a year. Such events also make great opportunities for potential applicants looking for a fine graduate school to apply for! Keep an eye out for the next one!